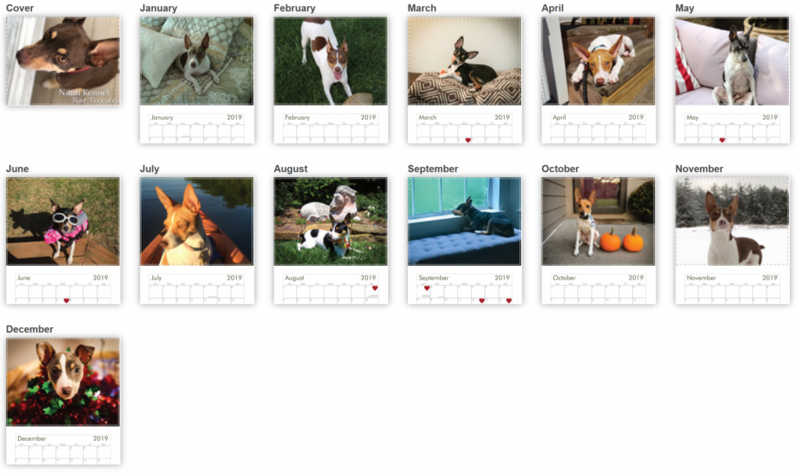 Back by popular demand we’ve put together a 2019 Calendar of Rat Terriers featuring all Nimh Kennel puppies! We want to thank everyone who submitted beautiful photos of their Nimh Rat Terrier! This calendar also features birthdays of our past litters over the years. We hope to make this calendar a yearly thing, if you wish to submit a picture of your Nimh Rat Terrier for consideration of next year’s calendar please submit to ashley@ratsofnimh.com as an attachment to the email and please send a signed copy of our Image Release form attached or in the mail (can give mailing address if needed).